Cosmobal is now includes more bonuses and contains 30 new levels - guaranteed to have you hooked up! Professional 3D graphics, studio-level sound effects, awesome original soundtrack and well-designed gameplay are at your service. 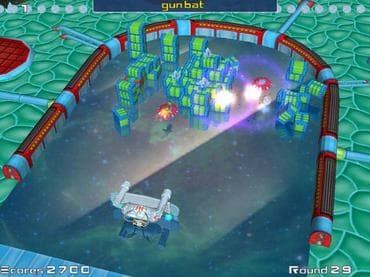 Download free full version today, and experience the new standard in Arkanoid games. Free Game Features: - Family friendly breakout game; - Amazing graphics and relaxing soundtrack; - Unique twist to the breakout genre games; - Unique power-ups; - Save / Load game option; - Game statistics; - Free full version game without any limitations. If you have questions about Cosmoball game, please contact us using this form.